Though all that glitters is not gold, those that do glitter capture the eyes of the beholder. 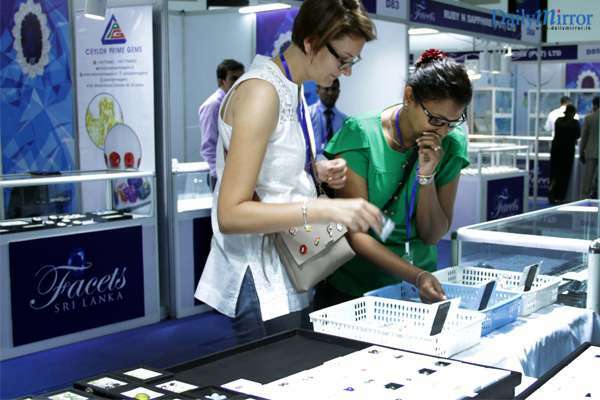 The FACETS Gem and Jewellery Exhibition 2018 did the same to all who attended the event which brings together the best gem and jewellery manufacturers of the island under one roof. The 28th chapter of the exhibition was held for 4 days giving access to the general public to see, study and purchase gem and jewellery within a range of products from precious to semi-precious stones, and gold, silver to costume jewellery. FACETS is organized by the Sri Lanka Gem and Jewellery Association with the support of the National Gem and Jewellery Authority and Export Development Board. 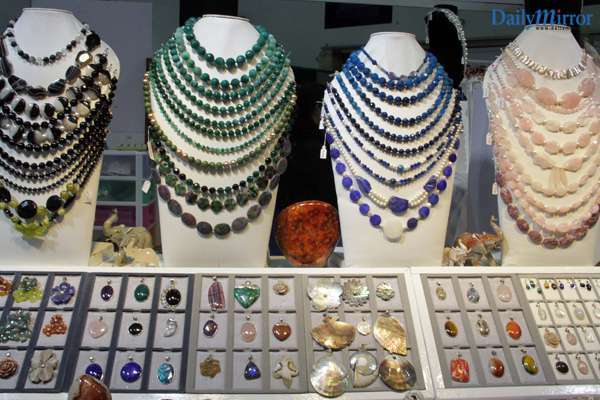 Throughout the years the exhibition has become a platform for small and medium gem and jewellery manufacturers and traders to showcase their ware to a mass of local and international audience. The presence of foreign delegates has added value to FACETS, making it a truly international exposure for Sri Lanka. The gala opening ceremony was attended by Hon. (Dr.) Sarath Amunugama, Minister of Science, Technology, Skills Development & Vocational Training and Kandyan Heritage. Emphasizing on the importance of the Gem and Jewellery industry as a foreign income generating source for the country, the Minister pronounced that all stakeholders should work towards increasing the annual revenue up to 1 billion as a whole. Dr. Amunugama reiterated the cooperation rendered by the government towards the industry, mainly in areas such as customs clearing and taxation during both import and export. He also mentioned that in spite of this, there is a dire need to instill national policies that will contribute in developing the industry. “The pioneers of the industry, most of whom I have the privilege of knowing personally have sacrificed immensely at the beginning. It was the gem traders who took our stones to the world by personally travelling to countries such as Madagascar and Tanzania to promote our treasures,” he stated. Several generations down the line, the industry is thriving, especially in the international arena where the glamour of the Ceylon Sapphire has been brought back to its source. The highlight of the ceremony was the launch of the coffee table book Sri Lanka Gems by Vladyslav Yavorskyy, an internationally renowned gemologist and author of Terra Spinel: Terra Firma, Terra Garnet and Terra Connoisseur. 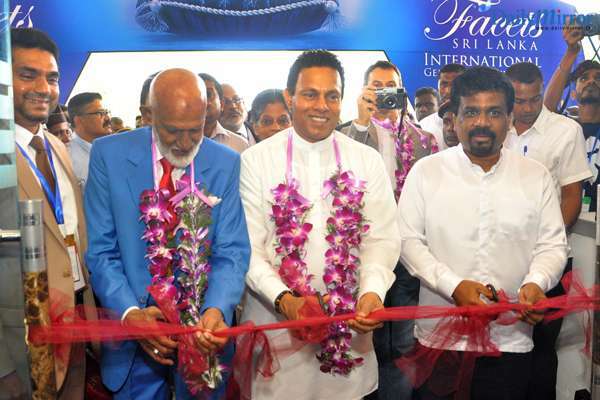 The exhibition showcased many of Sri Lanka’s gem and jewellery manufacturers as well as several international stalls. 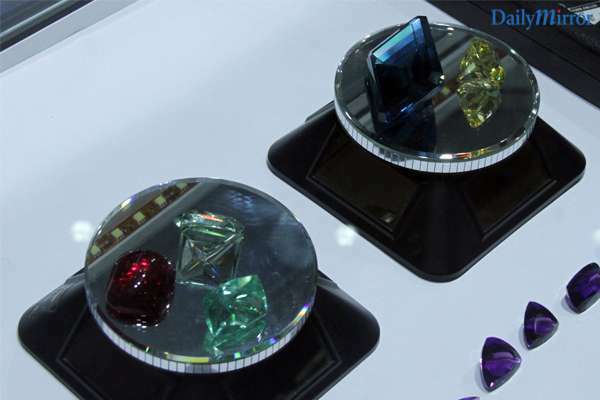 The gems varied from precious to semi-precious to coloured stones, attracting buyers from all levels. Purchasing a gem is an investment which has a very low risk in depreciation. The varied value levels of the stones enables the buyer to make an investment within one’s budget. FACETS was a platform to compare, evaluate and purchase gems, as well as a great opportunity to learn about mining, cutting, polishing and value adding of gems. The complete process from mine to market was displayed for those interested in learning about the industry. The jewellery zone ranged from high value gold to silver to creative costume pieces, once again catering to all levels of jewellery lovers. The small and medium manufacturers under the National Gem and Jewellery Authority as well as the Export Development Board received significant exposure in bringing out their products to the market. Visitors were also able to make use of the opportunity to evaluate the jewellery they bout or already owned at the valuation counters. 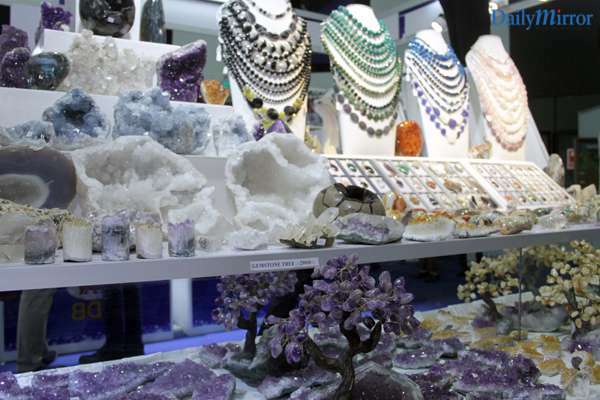 The International Gem and Jewellery Exhibition marked its 28th chapter this year. Since inception in a small scale, it has played a key role in establishing and developing the industry, and continues to build the platform to enhance the involvement of all stakeholders involved. Today it has evolved into a full-fledged exhibition that actively promotes Sri Lanka to the world.